This examination is being given to fill one (1) vacancy in the Behavioral Health Services Department and to establish an eligible list to fill future vacancies. This position will be in the Psychiatric Health Facility which is a 40 bed inpatient program. This inpatient facility is separated into three suites to provide progressive care designed to meet different treatment needs. Psychiatric interventions are provided on a 24-hour basis to assist individuals in controlling the disabling effects of mental illness or related emotional problems. Work Schedule: This position is for a rotating shifts. This work schedule includes nights, weekends, and holidays. Special Requirement: The Psychiatric Health Facility will perform a background investigation on prospective employees to include criminal background information from State and Federal information banks. Provides direct patient care to clients in a 24 hour psychiatric facility or day treatment program; observes patients physical and psychological status; helps evaluate progress; records clinical notes on patient. Assists professional staff in developing and modifying treatment plans; implements treatment plans. Provides case management to mentally ill or elderly clients under the supervision of a team leader or experienced case manager; may provide counseling, money management or other related services. Arranges for and provides transportation for clients. Provides basic client counseling in groups as well as on an individual basis. Education: Completion of 45 semester units from an approved college or university of which a minimum of 30 must be in Psychology, Social Work, Nursing or related Social Science.  Substitution: For persons employed as a Mental Health Technician by San Joaquin County on the date this class specification is adopted, possession of a valid license as a Psychiatric Technician may be substituted for the 45 semester units. Basic concepts of mental illness, mental health and substance abuse; techniques of dealing with the physical, emotional and social needs of emotionally disturbed individuals or substance abusers; clinical terminology. Learn to develop and maintain the confidence and cooperation of clients and patients; learn to recognize symptoms of mental or emotional disorders and substance abuse; analyze situations accurately and take appropriate action; understand and follow oral and written instructions; express ideas clearly and concisely both orally and in writing; establish and maintain effective working relationships.